AppVeyor is starting to support Ubuntu builds so I’m playing with some configurations for that by adjusting the pure Windows config I wrote about earlier. Previously I had a kludge to allow coverage testing on v5.8 through Travis CI. I used cpanm to install exactly Devel::Cover 1.23 because it supported v5.8. The problem now is that it doesn’t support v5.26 and my automated testing fails. You can test Perl on Windows with continuous integration through AppVeyor. I previously showed an example of with Travis CI but that was limited to Linux. You can easily set up an account through GitHub (or other means), select projects to test, and let it do its work. 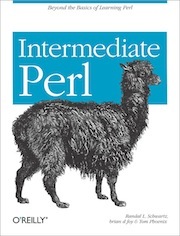 I’ve had a problem with automated coverage testing and v5.8 (the oldest Perl that I support). Devel::Cover made some changes after 1.23 so that it doesn’t guarantee support for v5.8 and earlier. It might work but you’re lucky if it is.